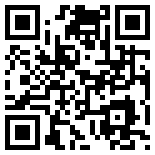 Some of the most popular posts on this website have to do with pie! Where to find those flours for the pie crust mix? We buy them from Authentic Foods (you can use Amazon.com.) Not even a trip to the grocery store is required; they grind the flour really fine (so it does not have that gritty quality, sticking in your back teeth like dental amalgam ), and their tapioca flour does not taste like boiled lobster. When you do buy the flours, consider storing them in the freezer – those pantry moths like to eat gluten free too, but they don’t seem to be able to squirm in to the freezer yet. Call me for dinner, honey, I’ll be there. Gf-Zing! does not guarantee the gluten-free status of products; we rely on the manufacturer to do that. Check the labels, and make sure all your ingredients are gluten free! Thai Red Curry Paste recipes use a basic list of ingredients, and all the recipes seem to include chilies, coriander, cumin, peppercorn, garlic, lemongrass, galangal, a fishy element like shrimp paste or fish sauce, and salt. Most also include shallots, kaffir lime leaf or zest, and either cilantro leaf or root. A few add nutmeg, paprika, or cardamom. Dry chilies are usually seeded and soaked. Dry spices are generally toasted in a skillet before grinding. Garlic and shallot are peeled and chopped before making in to a paste. The bottom 3 inches of lemon grass stalk is cut off, the toughest leaves removed, and the whole piece is then smashed with the flat side of a cleaver before the lemon grass is minced. Shrimp paste or fish sauce must be investigated for gluten free status before using. Shrimp paste is a dry product that is dry roasted before use. Ultimately, all the ingredients are ground to a homogeneous paste. Based on the following table, you can see that Thai Red Curry paste is made using a fairly standardized set of ingredients, easily customized by the home cook to make a “signature” gluten free blend. Make sure that all of your ingredients are gluten free! It is as easy to make homemade gluten free curry powder as it is to grind coffee! With a little trial and error you can create your own signature gluten free curry powder! We use a 30 year old coffee grinder to make ours from whole spices. Once you make your own, you won’t be able to go back to using store-bought curry powder. Also, your friends will want your recipe. Make sure that whatever spices you add to your curry powder are gluten free. And, the fresher the spices, the better the flavor. Some recipes will advise you to buy a separate coffee grinder for making spice mixtures like curry powder, but we use one coffee grinder for everything – we have been doing it for decades. After using the coffee grinder for grinding spices, you can clean the coffee grinder using a toothbrush to loosen up ground spices and wipe the grinder clean. If your coffee grinder is white plastic, the turmeric may turn the plastic yellow, but when you then revert to grinding coffee in the grinder the flavor of your coffee will not be altered. At gfzing.com, we have analyzed a few recipes for homemade curry powder and provide the following table of formulas from some of our favorite cookbooks. Note that the biggest variation occurs with the turmeric and the pepper. Turmeric has a surprisingly strong taste, so experiment with it a little to decide how much to use. Our favorite curry powder recipe comes from Robin Reilly’s excellent book Gluten-Free Baking. We add a whole dried cayenne pepper to her mixture because we like our curry powder spicy. Robin Reilly uses a combination of roasted coriander seed, fenugreek seed, cumin seed, black mustard seed, cardamom seed, cinnamon stick, with added ground turmeric, ground mace, nutmeg, and cloves. We add a whole dried cayenne pepper to her recipe, then grind it in two batches in the 30 year old coffee grinder. After grinding the two batches, we mix the stuff together thoroughly and store it in a half pint Mason jar. Another similar curry powder formula is to be found in Better Than Store-Bought by Witty and Colchie, originally published in 1979. This is a unique cookbook which shows how to make a large variety of items from scratch. A third example of homemade curry powder lives in another excellent do-it-yourself cookbook called Gifts of Food, by Susan Costner, published by Consumer Reports in 1984. Again, the list of spices is pretty much the same – varying amounts are used. In this table, we compare these 3 recipes, demonstrating that indeed, the list of spices is pretty much the same but the amounts differ. 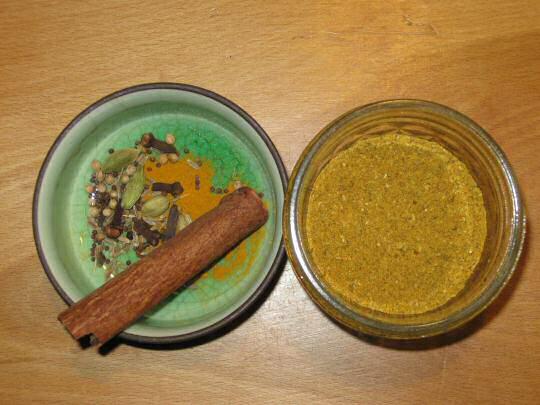 Fiddle with these spices and develop your own signature gluten free curry powder! Package it up nicely, and give it as a gift! A reader writes asking for gluten free suggestions for their 18 month old, a somewhat picky eater who is currently on a Gluten- and Dairy-Free diet. Well, first of all, it is important to consultant with your child’s doctor, and ask about seeing a nutritionist. The gluten free diet can be tricky, and it is not always easy to balance the diet, especially in terms of vitamins. There is a new book: Real Life with Celiac Disease: Troubleshooting and Thriving Gluten Free by Dennis and Lefler, which can point you in the right direction and help with finding resources. Consider the possibility of using “naturally mushy” foods such as banana, avocado, cooked sweet potato etc. These foods have a lot of curb appeal for the under 5 set. Of course, you have to choose those foods that work for you and your family. You can also make a very nice breakfast “smoothy” in the blender, from frozen orange juice, frozen strawberries, banana, honey, and gluten-free yogurt or gluten-free non-dairy yogurt – it is the basic concept of this smoothy that is important – you should adjust the ingredients to suit your child’s tastes and needs. For a “sandwich” try making musubi – see the instructions here, and use fillings and accompaniments that your child can eat. Most importantly, make sure that the diet you are feeding your toddler is nutritionally appropriate for a growing child. Consult your doctor, and ask him/her for a recommendation for a nutritionist as well. This recipe makes a very nice comfort-food for the gluten free community. Wash 1 cup of sweet brown rice (this is also called brown sticky rice), put it in a Zojirushi rice cooker, and add 1 1/4 cups of water. Close the rice-cooker and set the menu to the sweet rice setting and turn it on. It will cook in about an hour. While the rice is cooking, in a non-stick pan put 1 teaspoon peanut oil, and stir-fry 1 shallot, peeled and diced, and 1 clove garlic, peeled and minced, for 2 minutes. Then add 1 teaspoon strong gluten-free curry powder, 1 teaspoon salt, and 1/4 teaspoon sugar. Stir-fry for 1 minutes. Next, add 2 boneless chicken thighs, diced. Stir-fry until cooked through. When the sticky rice is done, add it to the chicken mixture and stir together with a wooden spoon. Transfer it to a greased oven-proof casserole dish and bake, covered, for 15 minutes at 350, or make 6-8 tinfoil squares about 10 inches square, put 1/2-3/4 cup of the mixture on each square and make in to a log, then wrap the tinfoil around the rice mixture. Bake the logs at 350 for 15 minutes. These packets can be kept in the refrigerator and reheated as needed. They will keep a few days under refrigeration. The dish is tasty and satisfying! “`All complete!’ said the Toad triumphantly, pulling open a locker. `You see–biscuits, potted lobster, sardines–everything you can possibly want. Soda-water here–baccy there–letter- paper, bacon, jam, cards and dominoes–you’ll find,’ he continued, as they descended the steps again, `you’ll find that nothing what ever has been forgotten, when we make our start this afternoon. '” from Wind in the Willows by Kenneth Grahame. Toad really knew how to pack a picnic for his vacation. Although his pantry is short on the fruits and vegetables, his supplies were not considered perishable; all were preserved to some extent without refrigeration. He is packing an off-the-grid picnic back in the day, before electricity, before ziploc bags, back when smoking tobacco was a staple, and people played social games like cards and dominoes before turning in at sundown, with only the dim light of candles and oil lamps. Are you interested in recreating Toad’s food locker, perhaps without the tobacco? You will need some good crackers, sardines, potted lobster, jam and some cheese (which Toad forgot to add to his locker.) All these things are possible in the gluten free world. Some fine cracker choices might include Glutano Crisp Bread – a long lightweight rectangular cracker that will stand up to some heavy spreading (tartiner is the French word for spreading things on bread) , Mary’s Gone Crackers with Black Pepper – small round peppery crackers that go well with spreads, Real Foods Multigrain Corn Thins – a circular Australian product about the size of a rice cake only thinner and more flavorful, perfect for making a lightweight open faced sandwich, and perhaps Blue Diamond Nut Thins® Pecan Crackers – these very crisp crackers are salty and crunchy, perfect with cheese. If you take the British word “biscuits” to mean cookies, then you might stock up on the Almond Horn Cookies product made by Aleia, or Glutino’s Lemon Flavored Wafers, or Vanilla Wafers – Chocolate coated. For the jam, try making your own strawberry jam, and add a few exotic flavorings to the mix. If you are new to canning and preserving, the best instructions are available in the Ball Blue Book of Preserving – we have multiple versions of this standard cookbook, and the recipes vary from year to year depending on what is in fashion. The most recent edition includes an excellent recipe for strawberry-lemon marmalade, requiring the addition of a small amount of minced lemon rind. You might also add some lavender, cayenne pepper or cardamom to strawberry jam – we have tried all these flavors which work very well with strawberry. Sardines or herring can be had for small money – the Bar Harbor brand of All Natural Smoked Wild Kippers (herring) are excellent, and at less than $2.50 for 6.7 ounces, they are a bargain and will feed 2 people for lunch. A couple of slices of Udi’s wholegrain bread, toasted until brown and spread liberally with lightly salted butter, some of these smoked kippers, and a strong cup of Irish tea, and you are set for lunch. Potted lobster is another matter, somewhat more complicated. First of all, back in the days before refrigeration people used to “preserve” meats (including shellfish, pigeons, beef etc.) by cooking them and putting the meat in to a wide-mouthed ceramic container called a pot, then covering the top with a layer of melted butter. They believed that protecting the food from fresh air made it safe to eat. Oops! They were wrong about that. Obviously, covering meat with a layer of butter is not an effective method of preserving food, so if you make your own potted lobster according to the old ways, you must refrigerate it and serve it soon. Many recipes for potted shrimp are available on the internet, and a few for potted lobster although this is less common. Be careful to treat this product with care, and refrigerate it. Needless to say, the dominoes and playing cards do not carry any edible risk to the gluten free community. The letter paper is for writing letters, although today we might write an email. If you want to engage in a congenial correspondence about Toad’s pantry, you can send an email by clicking here: Send email about stocking Toad’s pantry. It is relatively simple to recreate the Toad’s larder with modern, and gluten-free, ingredients. Macaroni and cheese lovers, don’t despair. You can have perfectly fine macaroni and cheese without wheat. 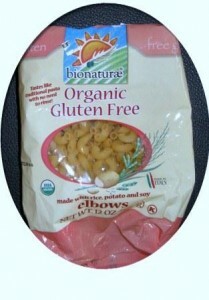 Use your favorite gluten free recipe, and the BioNaturae organic gluten free macaroni. Take care to read the package and make sure you don’t accidentally purchase the wheat variety. We have tried a lot of different brands of gluten free pasta. For macaroni and cheese, Bionaturae is the way to go. The product is made of rice, potato and soy. It is quite expensive for pasta, but it is worth the money. We have no affiliation with the company and they haven’t even sent us samples, we just like the product! For mac and cheese, cook the product slightly less than the package calls for. For example, the package says cook for 11 minutes, so for mac and cheese cook it for 10 minutes. No need to rinse this product. Just follow a gluten free mac and cheese recipe. If you can get your hands on a few dozen steamer clams from Maine, and 3 gallons of sea water, and a package of gluten free instant polenta – the kind that cooks in 3 minutes because it is really “pre-cooked,” then you can make a really special treat. If you are buying the clams, insist that the fishmonger provide live clams – do not accept any clams that are open and will not close. Scrub the clams, discarding any that are dead. Pour the cold, fresh sea water in a large pot, sprinkle with about 1/4 pound of instant polenta and stir. Add the live clams – they must be completely covered with the sea water. Let sit for about 8 hours. You will notice that as they are left undisturbed the clams will extend their neck-like parts and start spitting out sand and grit, replacing the sand and grit in their stomachs with instant polenta! That means that when you cook them they will have an automatic polenta stuffing. For a lesser clam, such as the Mahogany clam, you will notice that the apparatus the clam extends is not long and thin but more triangular. The polenta (corn meal) treatment is absolutely essential for the Mahogany clam, in our opinion, as it causes the Mahogany clam to purge itself of sand. Scrub the Mahogany clams really well, and steam for about 5 minutes. Discard the clams that do not open. Steam the clams using a very small amount of tap water in the bottom of a large covered pot. Heat them on high until they are fully cooked – 10 to 20 minutes. They should all be opened up. Serve with melted butter with a little fresh garlic grated in to it for flavor. Note: If no seawater is available, you can use cold tap water (no chlorine!) with added Kosher salt (no iodine). You add enough salt to bring the specific gravity to 1.021 or thereabouts, then add the instant polenta. To measure the specific gravity, a hydrometer is required. In the absense of a hydrometer, you could add about 1/2 cup Kosher salt to 1 1/2 gallons of cold water. Serve on top of cooked gluten free pasta, or, with gluten free bread sticks or gluten free rolls to sop up the sauce. One of the greatest gluten-free interests we had was recreating this Christmas cookie. We first encountered it in Better Homes and Gardens magazine in the 1970s. Back then, the recipe called for 10 drops of green food coloring and 8 drops of red (for the different colored layers). 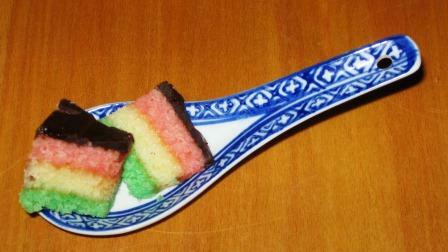 Now, in the December issue of Gourmet (2005), the same recipe has appeared under the name of Seven-Layer Cookies, but with 25 drops of each color of food coloring and with chocolate icing on both the top and the bottom. This larger amount of food coloring produces a much more garish cookie. With the bright colors and chocolate icing on top and bottom, it seems like the three-car garage of cookiedom. 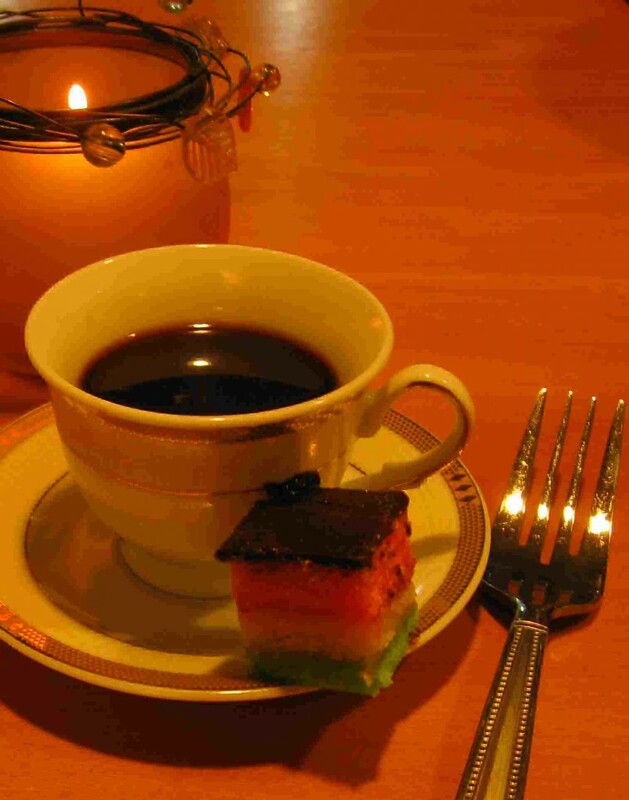 We prefer the original, smaller amounts of food coloring, and chocolate only on the top. Gf-Zing! presents the recipe here, adapted for gluten free cooking with gf flour and extra almond extract to make up for the flavorless rice flour, and including a link to how to make your own almond paste. You need 3 pans, each 9×13″ to make these cookies, or use the same one over and over. Grease the three pans, line them with wax paper, and grease the wax paper. In your food processor, mix the almond paste, sugar, egg yolks, butter, almond extract and salt. Beat for 5 minutes, until the mixture is really smooth. Add the gluten free cookie flour and mix well. In a separate bowl, beat the egg whites until they form stiff peaks. Fold the dough from the food processor into the egg whites. Remove 1 1/2 cups of the batter and spread it all over the bottom of one of the three prepared pans. Remove another 1 1/2 cups of batter to a separate bowl, add the green food coloring and spread the green batter in a second pan. To the last remaining batter, add the red coloring. Spread this red batter in the third pan. The batter spread in the pans will be very thin – only a quarter of an inch or so. Bake in a preheated oven 350 degrees for fifteen minutes. The dough will start to pull away from the edges, and start to brown around the edges. The top will be springy to the touch. Remove the pans from the oven and set aside. Melt the 12 ounces of jam in a pan. Some of the recipes for this cookie call for straining the jam, but this is not necessary. Enjoy the lumps! Turn out the green cake on a flat cookie sheet that is lined with tin foil or some other durable material. Spread half the jam on the green cake. Top with the plain colored cake. Spread the remaining jam on the plain colored cake. Top with the red cake. Put a piece of plastic wrap on the top of the red layer. Put a cookie sheet on top. Place canned goods, or heavy weights, around the cookie sheet to weigh down the cake and glue the layers together. If you have a heavy wooden cutting board, you can use that instead. Set aside in a cool place for several hours or overnight. Melt the chocolate. If you like bitter chocolate, add an ounce of bitter chocolate to the semisweet chocolate. Remove the cans, cookie sheet and plastic wrap from the top of the cake, and then spread the red cake layer with melted chocolate. Allow to harden (this will take some time – at least 30 minutes). Slice off the edges of the cake and put these scraps on a plate for sampling. Slice the cake into squares, about 1″ on a side, using a sharp knife and a ruler (to mark where to cut). You may have to run hot water over the knife, then dry it with a clean towel, from time to time so that crumbs don’t get onto the chocolate topping. These can be stored in an airtight container in the freezer, with wax paper between the layers of cookies, and removed as needed. If cut into 1″ squares, over 100 cookies are produced. Make sure to use all gluten free ingredients. This is the most requested Gf-Zing! recipe ever! 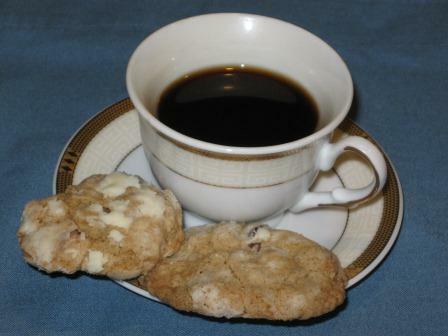 The cookies are crunchy, with a complex flavor and interesting buttery sugar coating. GF confectioner’s sugar for rolling. Combine mixture A with mixture B. Add: 2 cups of top quality GF chocolate chips, 1 cup chopped walnuts (you can optionally also add dried cherries or dried cranberries.) Form 1-inch balls, roll in GF confectioner’s sugar, flatten slightly, place on Silpat mat-lined (or parchment paper lined) cookie sheet and bake for 10-12 minutes at 375 F. Remove pan from the oven, let rest 5 minutes on pans before removing cookies from the pan. Make sure that all your ingredients, including spices, are gluten free!